About halfway through JACK RYAN: SHADOW RECRUIT I had the same feeling I did the first time I watched “Sneakers.” I felt like I was watching a really good “Mission: Impossible” movie. It’s a scene that involves Jack Ryan (Chris Pine) having to pretend he’s drunk so that he can slip away from the dinner he’s having with Viktor Cherevin (Kenneth Branagh) a powerful financier who is manipulating Russian and Chinese investments in America to bring about a second Great Depression. Jack has to break into Cherevin’s high tech office to hack his computer and download important evidence. Jack’s boss, Thomas Harper (Kevin Costner) has a team of expert CIA spies backing Jack up and the plan involves Jack’s girlfriend Dr. Cathy Muller (Keira Knightley) keeping Cherevin at the dinner table while Harper’s team has to pickpocket Cherevin’s security card, get it to Jack, get him in and out of the office and then return the card to Cherevin all without him knowing. Sounds a lot like an episode of “Mission: Impossible” right? Jim Phelps and his team used to do stuff like this all the time. And that’s a large part of the problem with JACK RYAN: SHADOW RECRUIT. A lot of it felt like stuff I had seen before. Not that it’s bad stuff. 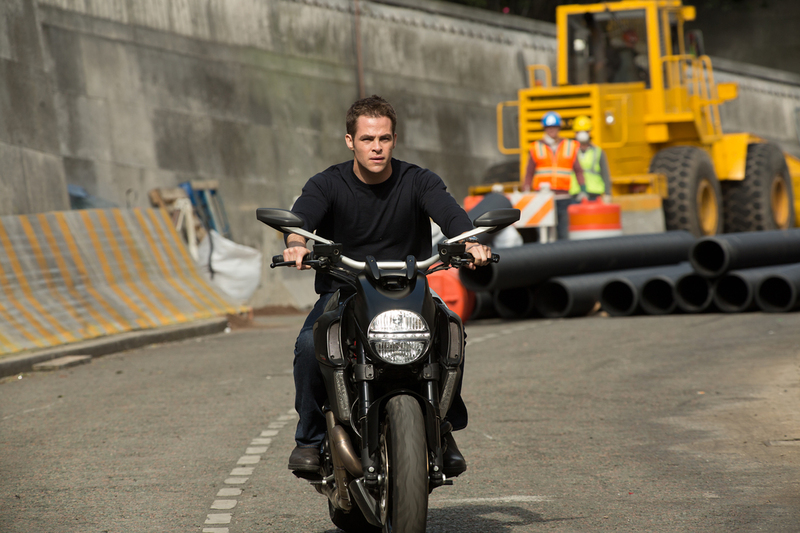 JACK RYAN: SHADOW RECRUIT is a well-made movie. It’s just that it’s not all that exciting or shows us anything new we haven’t seen in a dozen other action thrillers. It also didn’t exactly grab me that this movie isn’t based on any of the Tom Clancy novels about Jack Ryan but an origin story cooked up by screenwriters Adam Cozad and David Koepp. Why in the world they felt that Jack Ryan needed an origin story is beyond me. When we first met Jack Ryan in 1990’s “The Hunt For Red October” the movie just threw us into the adventure and filled us in on Jack Ryan’s background if and when it was needed. This movie spends a considerable amount of time showing us Jack’s grief upon seeing the 9/11 attack on TV while he’s attending school in London and then his crippling injuries he receives in a helicopter crash while serving as a Marine in Afghanistan. It’s during his extensive rehab he meets the two most important people in his life; Cathy Muller who will be his wife and Thomas Harper who will be his boss and mentor as Jack goes to work for the CIA. Jack spends ten years working as a compliance officer on Wall Street but his real job for the CIA is to look for suspicious financial transactions that would indicated the financing of terrorist operations against the U.S. Jack does indeed find something strange about trillions of dollars being manipulated by the companies owned by Cherevin and he’s sent to Russia to check it out and see what’s going on. Harper believes that the missing money is tied into some activity at the UN, including a key vote that the Russian Federation lost. Yawning yet? I wouldn’t blame you if you were. We’re not talking James Bond type of spying here or even Jason Bourne or Ethan Hunt. The movie so far is essentially about bankers looking for money that other bankers are hiding. There’s nothing remotely exciting about Chris Pine repeatedly pointing at a computer screen and yelling excitedly; “There, there! See that?” and it’s a bunch of stock quotes. In fact, there’s an assassination attempt on Jack’s life that makes no sense and I’m convinced was thrown in there simply because something has to happen to keep the audience interested in the plot. As is the terrorist attack thrown into the last twenty minutes of the movie in order that we have a car/motorcycle chase and a desperate race against time. Chris Pine is a very likeable actor and works his moneymaker off trying to bring Jack Ryan to life but he just can’t do it. I’ve always thought that the financial success of the two Jack Ryan movies starring Harrison Ford was due more to Harrison Ford being the world’s number one action movie star at that time than audiences wanting to see a new Jack Ryan adventure because Jack Ryan really isn’t all that interesting a character. He’s a desk jockey who crunches numbers. There’s a brief scene on a plane late in the movie where the script tries to impress us with how Jack can see complex patterns where others can’t while Cathy and Harper just stare at him in amazement but it comes far too late to make a real impact. And it really is kind of a stretch for Jack, who has been working at a desk for ten years and by his own admission has had only three weeks of operational training can not only barehanded kill trained assassins but drive cars in high speed chases like Goggles Pisano. I mean, I can throw my suspension of disbelief out the window if needs be but I’ve got a problem with a screenplay that tries to have it both way. You either give me a Jack Ryan who’s just getting his feet wet in the world in international espionage and learning the skills he’ll need to do so or give me one who is a seasoned pro and knows what he’s doing. Jack switches back and forth between the two personas when the script needs him to be one or the other. 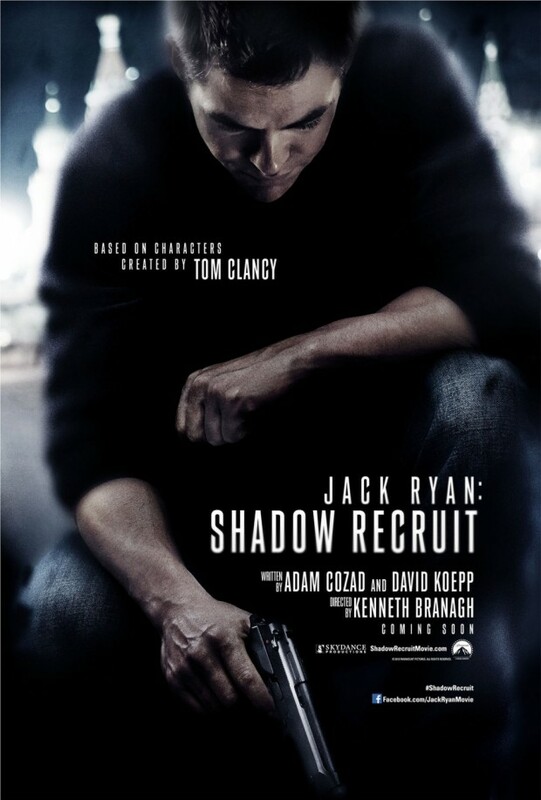 Movies of this type are successful largely on the bad guy and in this, JACK RYAN: SHADOW RECRUIT fails miserably. Kenneth Branagh’s Cherevin is no Auric Goldfinger or Ernst Stavro Blofeld which is what the character really needed to be and what the movie needed. Cherevin is a poor excuse for a movie villain and Branagh goes through the movie with that “Moose Und Skwirl” Russian accent I simply can’t take seriously. What else? Keira Knightley looks gorgeous, as usual, but is wasted as Cathy spends most of her screen time nagging at Jack for no reason at all and she’s only in the story because there needs to be a damsel in distress. Kevin Costner does his usual professional job and looks as if he’s actually enjoying himself. Kenneth Branagh does double duty as director as again, he disappoints. I’ve seen “Thor” so I know that Branagh knows how to direct action scenes but here it looks as if he was trying to copy the fight scenes from the Jason Bourne movies directed by Paul Greengrass and that wasn’t a good stylistic choice at all. 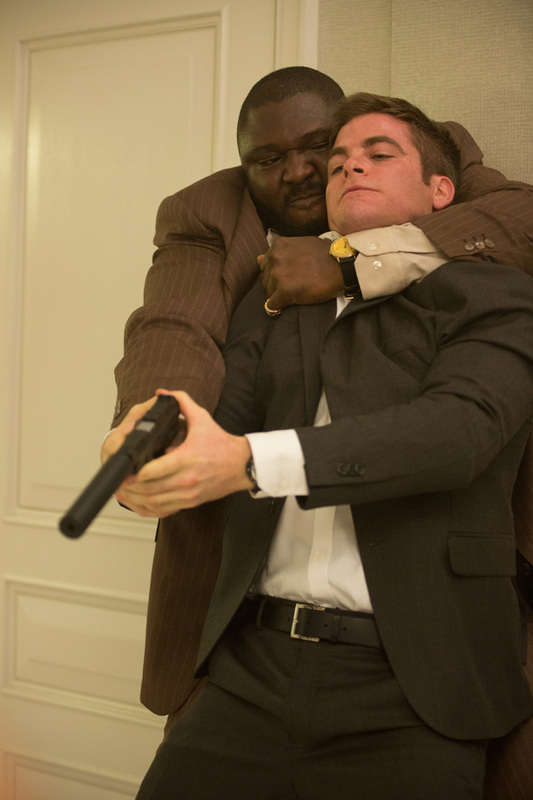 I guess by now you get the point that I didn’t like JACK RYAN: SHADOW RECRUIT. It’s not so much I didn’t like it as I was disappointed. I always am when I see so much good talent used in such a lackluster movie that does not thrill me or make me glad I went to see it. Wait for this one to show up on Netflix. I saw it on Netflix a couple of days ago. I would agree with your assessment. I did think the writers (or the director) missed opportunities to make the ending less pat. I wanted more of a twist to set up the next one. 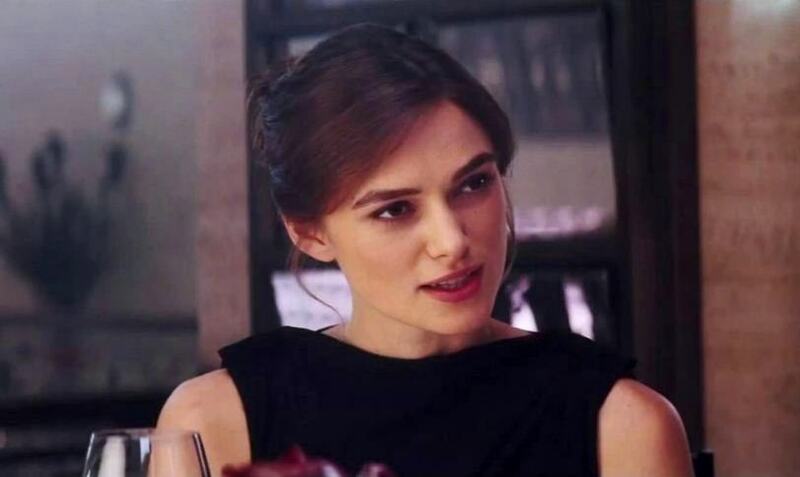 AND you are so on point with the waste of Keira Knightley, who has shown she isn’t a wallflower in need of saving….she could have been really badass if given the chance to shine.